summer is here! and with that LOADS of events! this year, summer for me is filled with all things LOVE...babies and weddings! tis the season! 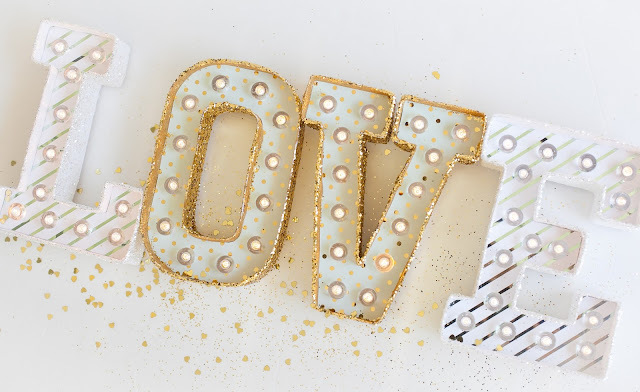 in spirit of this fabulous time of year, i created some gorgeous heidi swapp marquee love letters that are perfect for all things LOVE. what i created is simple, timeless and super elegant. 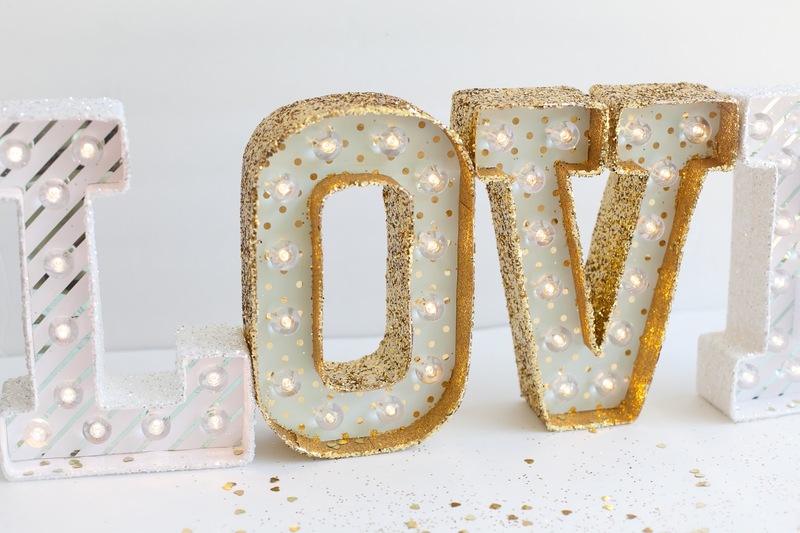 perfect decor pieces for weddings, wedding showers, babies and baby showers! think guestbook tables, nurseries, mantle decor. 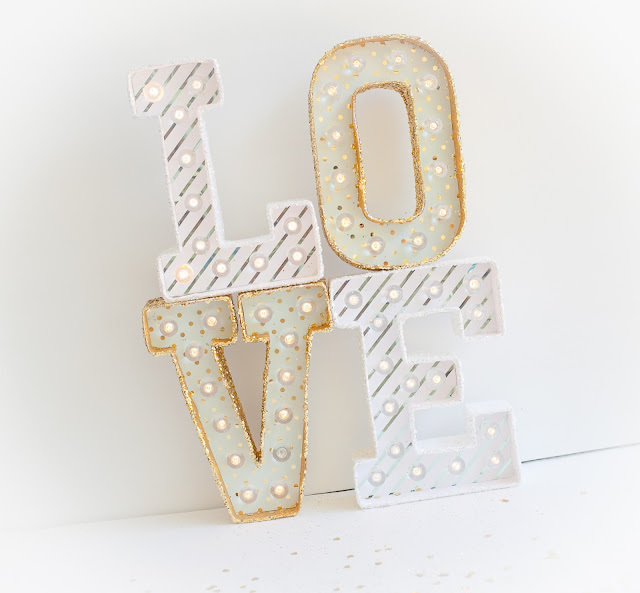 if you have seen the fabulous marquee letters than you know that when you purchase them, they are simply plain white. and although still fabulous....who doesn't love to jazz things up just a bit more? here is a very simple yet fabulous way to transform the gorgeous heidi swapp marquee letters into "wow factor" marquee letters! all i did was take some of my favourite 12x12 pattern papers from the heidi swapp minc collection and ran them through my minc machine in gold and mint foil. i then traced out the letters out of that paper and placed them inside my marquee. I then lined the insides of my letters with the beautiful gold and white glitter marquee love tapes. however, to add that extra bit of dazzle i had to whip out the marquee love glitter. this stuff is so sparkly, so dazzly, so chunky....it looks GORGEOUS on the marquee. if you have not yet tried it out, i highly recommend. 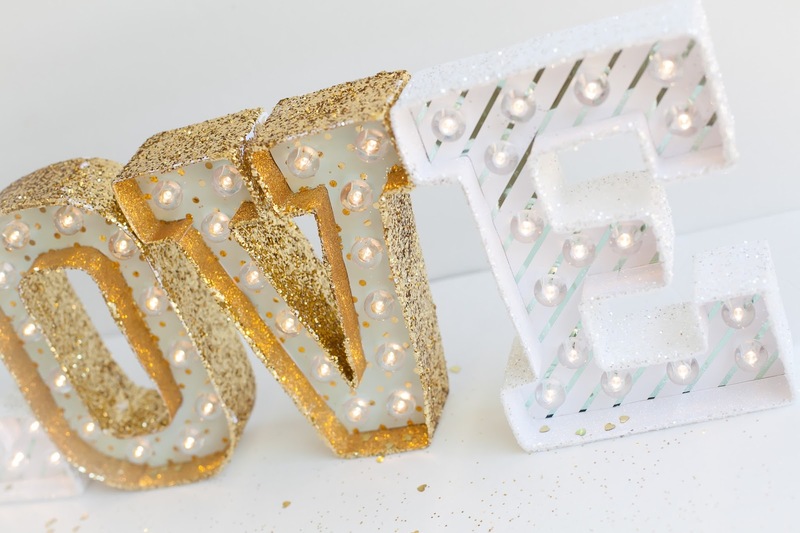 it truly takes your marquee up to the next level of dazzle. once i was all complete, i popped in my lights turned the switch and voila! i LOVE my "LOVE" marquee. these are soooo cute. 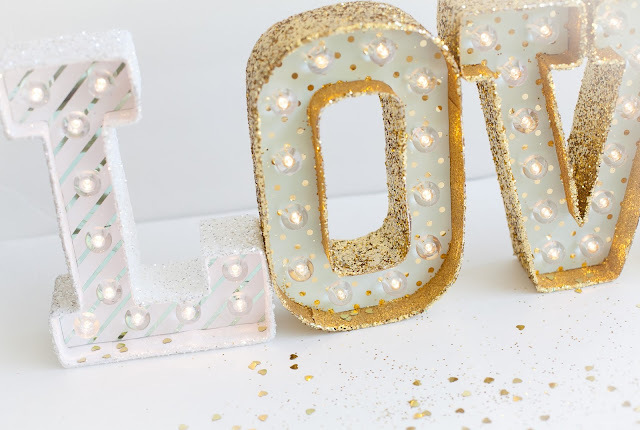 there is such a pop you created with the simplicity of gold foil and glitter. really, Lindsay...fabulous!! !